Sunspel - Woven with a piquÃ© texture for tactile interest, Sunspel's red Riviera polo shirt will be a building block to limitless looks. 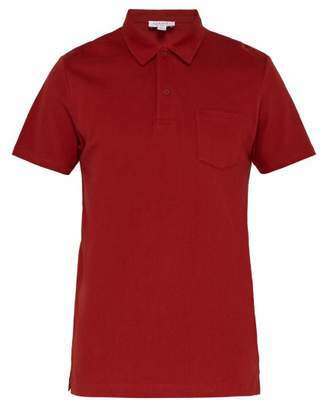 It's designed to a relaxed-fitting profile with a single chest pocket and red logo-embossed buttons to the front, then is finished with short side hemline slits. Fits true to size.